Originally from Plymouth, Michigan, Todd and Emily are a brother / sister real estate team serving the Marco Island and Naples areas. Growing up between Michigan and Marco Island, their first trip to Paradise was in 1990 purely on “accident”. A family vacation to Jamaica was scheduled but with a last minute outbreak of typhoid fever, their mother quickly called the travel agent for alternative plans to a warm destination, luckily ending up in Marco Island. Marco quickly became a favorite family vacation spot. Since it was only a 2 hour and 36 minute flight from Detroit, weekend trips became quite normal. After a few years of coming to the Island several times each year, their parents Phil and Debbie Lawler bought a condo on the beach at the Somerset, only to encourage more trips to the Island. As their parents became more involved in real estate on Marco, both Emily and Todd became extremely interested in it as well. They both decided at a young age that they were going to trade in their snow suits for bathing suits and become full time Marco Islanders one day. In 2004 that dream became a reality for Todd and in 2006 for Emily. In 2010 Todd and Emily decided to join forces as work together as a power real estate team. Each person brings different aspects and value to the team making them extremely well rounded. Their main objective has always remained the same, providing unsurpassed customer service. They are always available to listen to their client’s needs, regardless of the time or day. Their polished no nonsense commitment to their clients and each other make working with them not only pleasurable but with a proven record, also profitable. Todd and Emily have helped several clients flip properties even in a down market. From short sales and foreclosures to ultra high end luxury homes, they truly capture and service every aspect of the market. Emily has managed to master many facets in the ever evolving Marco Island and Naples real estate markets. Starting her career in the worst market plummet in the history of Marco Island, she managed to stay focused, dedicated and work hard surviving many veteran Realtors® in the area. The knowledge she has developed from studying local market trends and valuation enables her to provide clients with the resources required to make the best informed real estate decisions. This coupled with her innovative marketing and partner / brother is the basis of their success. Emily’s highest priority is to offer unsurpassed service in innovative marketing strategies, positioning properties, valuation and market feasibility analysis. She is has a history of high profile clients from heads of corporations, doctors, entertainers, athletes but also thoroughly enjoys working with first time home buyers as well. By listening to her client’s wants and needs her main objective is to find the best real estate investment to meet or exceed their goals. Prior to moving to Marco Island with her husband Brad and their daughter in 2006, Emily was the Vice President of Marketing and Sales for a large Michigan based trucking company. After a 10 year career of negotiating mulit-year contracts with Ford, GM and Chrysler she transitioned into a real estate career. Emily graduated from Madonna University in Livonia, Michigan and has a B.S. in Business Marketing and also a B.S. in Business Advertising. She currently resides on the Island with her 2 kids and husband of 14 years. Emily is a supporter for the Marco Island Charter Middle School and new Marco Island Academy high school and plays a very active role in her children’s education, sports and cultural activities. 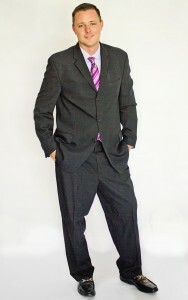 Todd has experience in every aspect of the real estate market. Working as a mortgage broker for over 10 years before transitioning to a Realtor®, his knowledge and insight of how mortgages operate help clients not only understand their loan but are able to advise them on evaluating options. He was licensed in all 50 states so he is familiar with a multitude of guidelines from each state. Todd’s personable and professional character allows him to build solid relationships with clients explaining why much of his business is referral based. He is able to quickly identify market changes and recognize profitable opportunities advising clients as to the right time to purchase or when to flip their investment. Also working with new construction for the past few years, Todd has a wealth of knowledge pertaining to construction in particular to coastal properties. He has also helped several investors spec properties for the current market condition and sold them before construction was completed. His training in regards to seawalls and docks, two of the biggest expenses in owning waterfront property, has demonstrated time and again to be exceedingly beneficial to the client. Obtaining his Sea Captain License OUPV (6 pack license) from the United States Coast Guard a young age also has given him the extensive knowledge of Gulf waterways which has proven to be extremely helpful for waterfront buyers and sellers. Todd also ran his own deep sea fishing charter and sightseeing operation in Marco Island for several years. Todd is an avid boater and fisherman and is also proud to be a life member of the NRA, National Rifle Association. He is also a Porsche owner / enthusiast and is an active member of the PCA, Porsche Club of America Everglades Region. He has been a Notary Public since 2004 along with being an active supporter for the Marco Island Charter Middle School and the new Marco Island Academy high school.